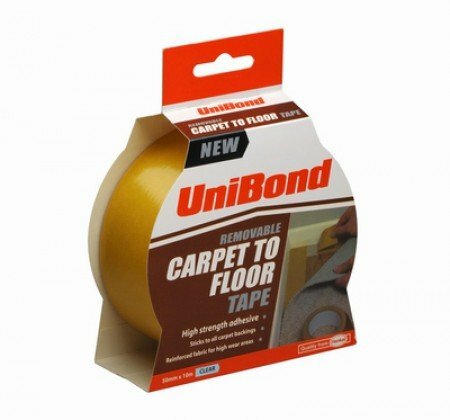 UniBond double sided 'removable' carpet to floor tape is the perfect choice for the fast fixing of carpet tiles. 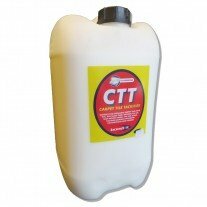 It can also be used for fixing down carpets, rugs and mats. The reinforced fabric makes it ideal for all high traffic areas. 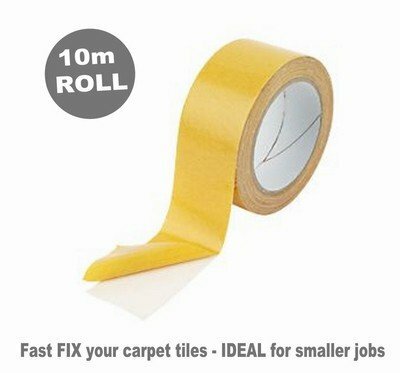 This top quality branded tape is a low price alternative to carpet tile tackifier adhesive. One 10 metre roll is enough to fix down approximately 40-60 tiles on most types of subfloor. When laying carpet tiles you should always start in the centre of the room and work outwards to build up the floor. We recommend using a sufficient amount of double sided tape to adhere the first few centre tiles. 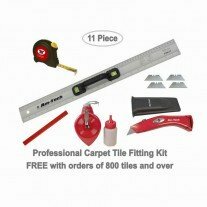 This will ensure the tiles do not move during fitting and tape should be used in all doorways/entrances and around the perimeter edge. Simply cut into 50mm lengths and stick to the back of each tile in all four corners. The tape will stick to any smooth dry surface like ceramic tiled, laminated, wooden, concrete, stone, metal, plywood, chipboard and painted floors. The width of the tape is 50mm (2") x 10 metres (33') in length. For larger areas of 100 tiles and over and for all industrial applications we advise using carpet tile tackifier adhesive.